If you have been researching zero-turn mowers, then you know that they come in different models, different engines, different size decks, and many have a variety of standard features. How do you choose? Here are a few questions to answer that will help you choose which zero-turn mower deck size is best for you and your lawn. HOW MUCH LAND WILL YOU BE MOWING? Will you be mowing an acre? 10 acres? Will you be mowing this each week? Will you mow other properties? Knowing how much land you expect to mow on a routine basis will help you decide which size zero-turn mowing deck to choose. For example, if you only have 1-2 acres, then you wouldn’t need to go all in on a Spartan SRT-HD or a Spartan SRT-XD with a 72” deck size. And if you have several acres that you routinely mow, then the Spartan RZ Pro with a 48” deck may not be sufficient enough to get your property mowed in a timely manner. DO YOU HAVE A LOT OF OBSTACLES TO CUT THROUGH...AND AROUND? After deciding how much land you mow, it’s also important to take note of what kind of obstacles are in your yard. Do you have large trees or bushes? How close are they to a fence? Do you have any gates that you need to get through? One of the big pros of switching to a zero-turn mower is the fact that these machines are able to make zero radius turns. 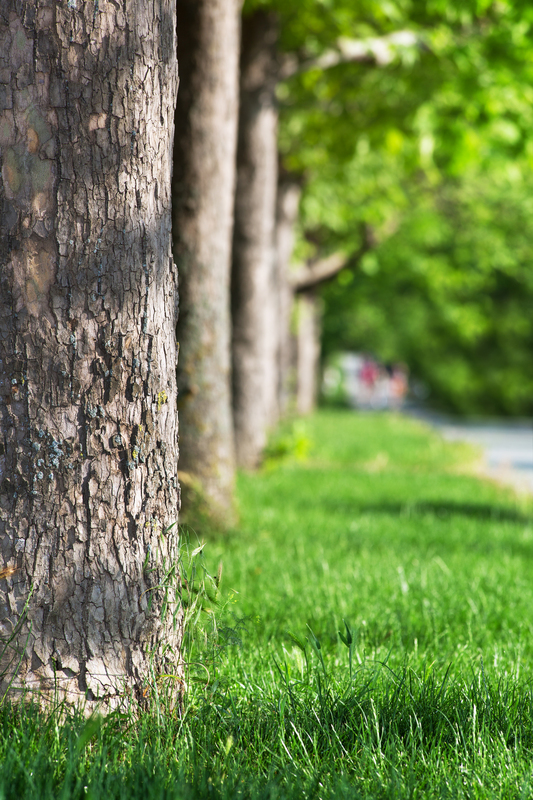 Because of this, zero-turn mowers make it easy to go around trees, bushes, and landscaping. However, if you have any fences or gates, it’s important to measure these openings to make sure that the mower you are looking at can actually fit through the gate or between trees. HOW DO YOU PLAN ON USING YOUR ZERO TURN MOWER? Will you use your mower for just residential use or will you cut several lawns each week in a side business? Will this lawn mower be added into a fleet of mowers in your commercial business? How you use your zero-turn mower determines how much power you will need. It’s important to know what type of engine, gas or diesel, you prefer. What accessories or attachments you will need? Being able to answer these little questions can really help you decide on the deck size you should choose. If you are using your mower for mowing only your lawn, then you don’t need a large deck size. However, if you are using it multiple times a week or you prefer diesel over gas, then you may want to take a look at the Spartan Heavy Duty CAT Diesel Mower with a 61” deck size. IS THE TIME IT TAKES TO MOW YOUR LAWN AN ISSUE? Time. Time is a precious commodity for many people. If you use your zero-turn mower as a residential mower, then you probably want to spend the least amount of time it takes to complete your outdoor duties. For those in the professional lawn care industry, time is also money. You need to be able to give your clients a clean, beautiful lawn in a short amount of time. For residential owners with very little acreage, the Spartan RZ Pro comes in 48”, 54”, and 61” deck size and goes up to 9 mph. If you need a little more speed, check out the Spartan RT HD. You can still select the smaller deck sizes of 54” and 61” (also available in 72”) and get going up to 11 mph. 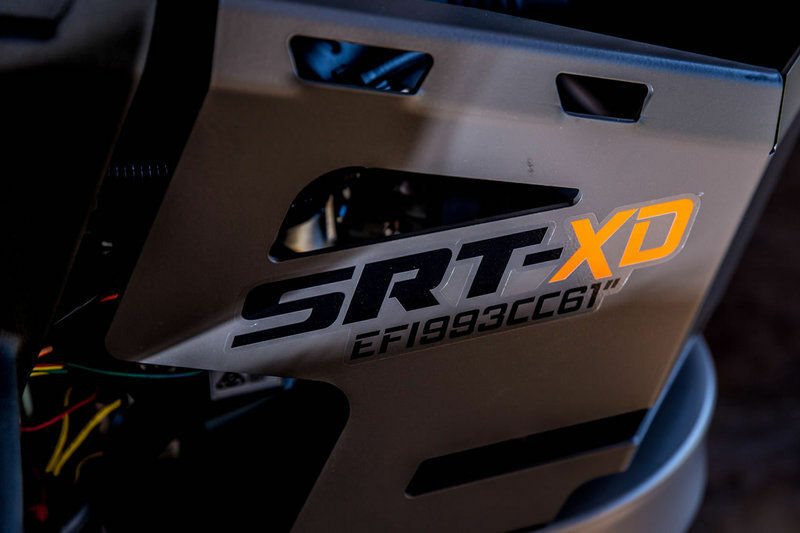 The Spartan SRT XD comes in a 61” and 72” deck and can speed up to 13 mph. These are just a few of the Spartan Mowers. 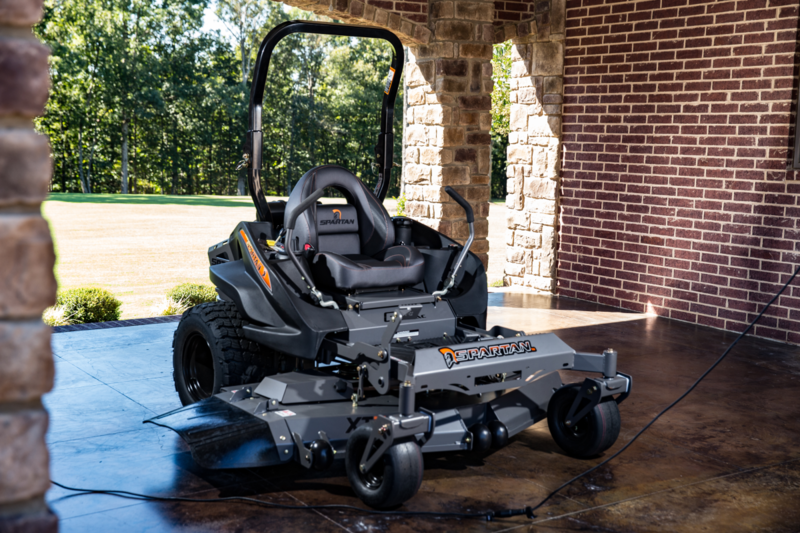 For more models and specs, use the MOWERS drop-down menu. You can also use our COMPARE MOWERS features to compare specs of up to three models side by side. 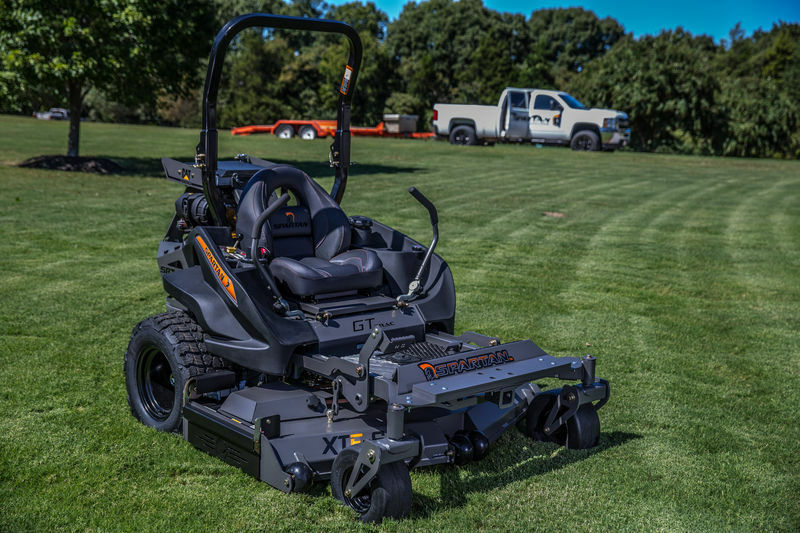 Whether you need a zero-turn mower for your personal lawn care needs or you need a powerful zero-turn diesel mower to take your lawn care business to the next level, Spartan has a zero-turn mower just for you! 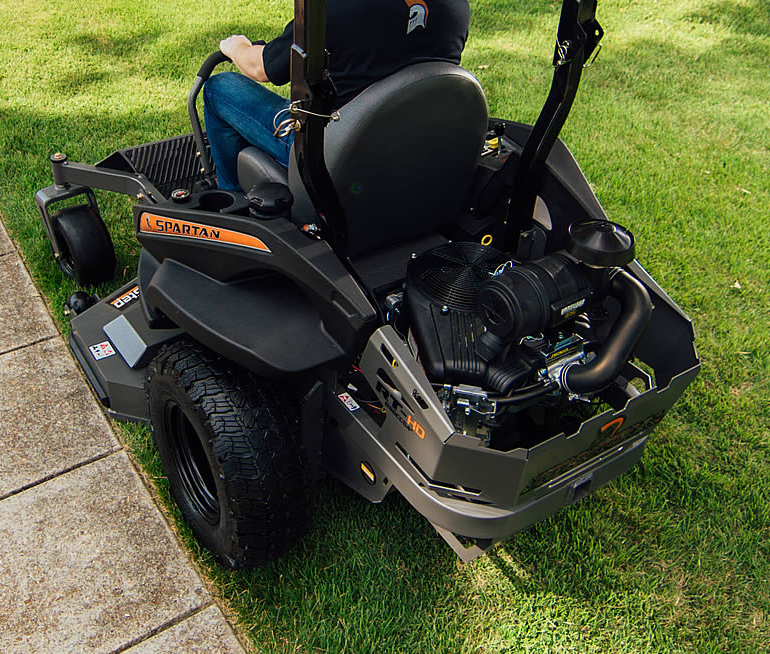 Check our COMPARE MOWERS tool to get started or visit a DEALER NEAR YOU today to see how Spartan Mowers is making a big impact in the turf industry by creating quality high-performing zero-turn mowers at an affordable price.